WASHINGTON — Taxpayers who are owed refunds will be paid on time, despite the government shutdown that has closed many federal agencies, a Trump administration official said Monday as concern mounted over the risk that the payments could be delayed. The acting director of the White House budget office, Russell Vought, said customary rules will be changed to make the payments possible. He told reporters that an "indefinite appropriation" was available for the refunds, which would go out as normal. As it dragged through a third week, the partial government shutdown could not have come at a worse time for the Internal Revenue Service. Tax-filing season officially begins Jan. 28, and while those who owe Uncle Sam will still have to pay up by April 15, people who are due to receive money back have worried about whether the closure could postpone their payments. About three-quarters of taxpayers receive annual refunds, giving them an incentive to file their returns early. Many lower-income people count on refunds as their biggest cash infusion of the year. The IRS said late Monday that it will recall a large number of furloughed employees to process returns. They will probably work without pay. Under the previous rules, hundreds of billions of dollars in refunds could be delayed because funding would not be available. Some experts question whether the Trump administration has the legal authority to reverse those earlier policies to allow the government to issue refunds during a shutdown. Vought framed the move as part of President Donald Trump's goal to make the shutdown "as painless as possible." The administration's announcement came as House Speaker Nancy Pelosi signaled her intention to begin passing individual bills to reopen federal agencies in the coming days, starting with the Treasury Department, which includes the IRS, to ensure Americans receive their refunds. Some Senate Republicans have been growing increasingly anxious about the extended shutdown and could support such legislation from the Democratic-led House. With the White House announcement on refunds, "They're reversing a long-standing legal position," said Howard Gleckman, senior fellow and tax expert at the Urban Institute. But, he added, "Who's going to sue? It would be hard to show damages. ... So they might be able to get away with it." In 2011, the chief counsel at the IRS concluded that such payments were legally allowed during a shutdown. At the time, the White House Office of Management and Budget, under President Barack Obama, rejected that position and directed the IRS not to pay refunds during a shutdown. But the IRS said Monday in a news release that the OMB had reviewed the issue at the Treasury's Department's request and now agrees with the IRS counsel's position. The IRS said it will recall a "significant portion" of its roughly 52,000 furloughed employees to work on tax returns. The agency also announced the Jan. 28 date to start processing returns. That's within the normal timeframe. "We are committed to ensuring that taxpayers receive their refunds notwithstanding the government shutdown," IRS Commissioner Charles Rettig said in a statement. "I appreciate the hard work of the employees and their commitment to the taxpayers during this period." If the shutdown weren't enough to contend with, taxpayers and the IRS have to grapple with the most sweeping overhaul of the U.S. tax code in three decades. Enacted by Republicans in December 2017, the changes provided for $1.5 trillion in tax cuts mainly financed by government deficits. The package was signed into law by Trump as his signature legislative achievement. The new law, which took effect Jan. 1, 2018, gave generous tax cuts to corporations and the wealthiest Americans and more modest reductions to middle- and low-income households. Nonpartisan tax experts have projected that the law will bring lower taxes for the great majority of Americans, though not all. According to the Tax Policy Center, a middle-income household should on average get a $930 tax cut for 2018, lifting its after-tax income by 1.6 percent. 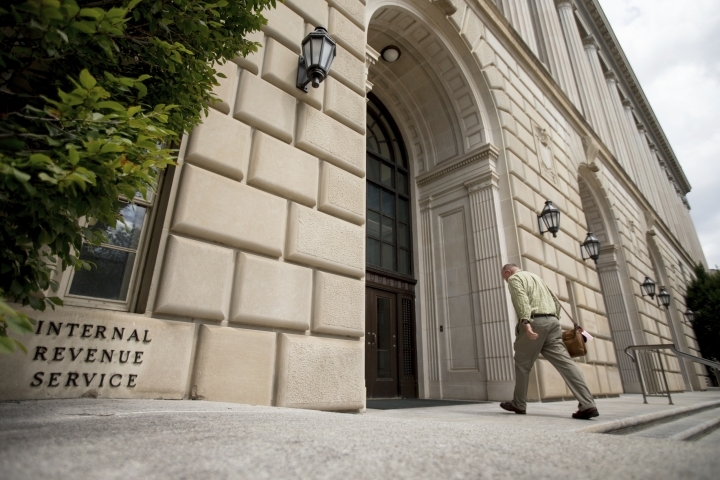 The IRS' challenges come as the agency is hobbled by what is widely viewed as a skimpy budget. Republicans controlling the congressional purse strings for years accused the IRS of having a liberal bias and unfairly targeting conservative tax-exempt groups. Last year, with the new tax law looming, Congress was more willing to open its wallet for the IRS and rejected to an extent the Trump administration's proposed cuts. But it ended up cutting in other areas, with the result that the agency budget is about the same — $11.4 billion — as in recent years.